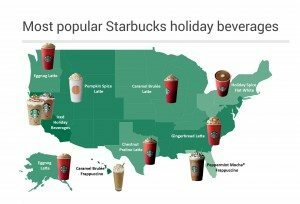 Top Holiday Starbucks Beverages by Location: What area of the country sold the most Holiday Spice Flat Whites? People in the Northeast areas of the United States sure did drink a lot of Holiday Spice Flat Whites! I know that I was a pretty huge fan of it this year, and found myself ordering many Holiday Spice Flat Whites. I hope it comes back next year! Eggnog Lattes sell the best the Pacific Northwest. 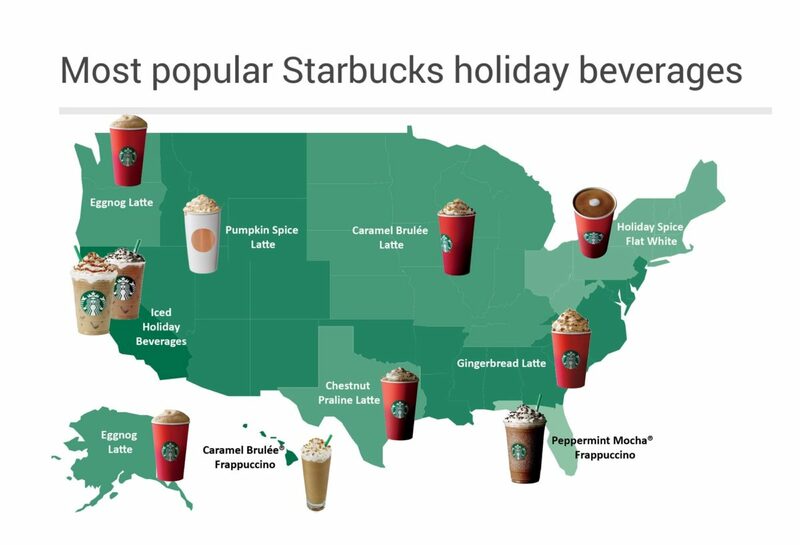 While the Starbucks infographic seems to cover Oregon, Washington and Alaska as places that sell a lot of Eggnog Lattes, I’ve heard it said (in my previous conversations with Starbucks partners) that Vancouver, BC customers love their Eggnog Lattes too. The Eggnog Latte has always been a landmark drink for Starbucks. You can read a little bit about the early history of the Eggnog Latte here – it’s been around, every single year, since 1986. The first year it was launched, the Eggnog Latte started in October, but by 1989, it was a mid-November to end of December holiday beverage. (I have an old 1989 Starbucks training manual that references that the drink is every year from mid-November to end of December). Also consider, the Eggnog Latte represents the first time that Starbucks offered any milk other than whole milk! There was no soy, coconut, two-percent milk and nonfat milk at Starbucks in 1986! The Caramel Brulee Latte began as a new beverage in 2009. Officially, November 17, 2009 is the birthday of the Caramel Brulee Latte. If you’re in the midwest, this is a fave drink. In 2013, the Chestnut Praline Latte was tested against the Cherries Jubilee Mocha. We know who the winner was! November 2014, the Chestnut Praline Latte made its national debut! Texans apparently love this one! The Western Mountain Region of the United States loves the Pumpkin Spice Latte. Remember this year, the Pumpkin Spice Latte went through a recipe overhaul, and still came out a beloved beverage. We will have to see if more Pumpkin-themed beverages make it to a national launch. This year, the Chicago region was the test market for an alternative pumpkin flavored drink called the “Pumpkin Flat White,” not made with the usual Pumpkin Spice sauce. Which was your favorite holiday beverage? That’s a lot of holiday drinks! Makes me wonder which ones will return in November 2016! 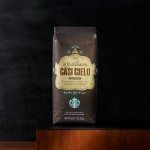 In other news, as of today, you can buy Casi Cielo on StarbucksStore.com! I always love this coffee. 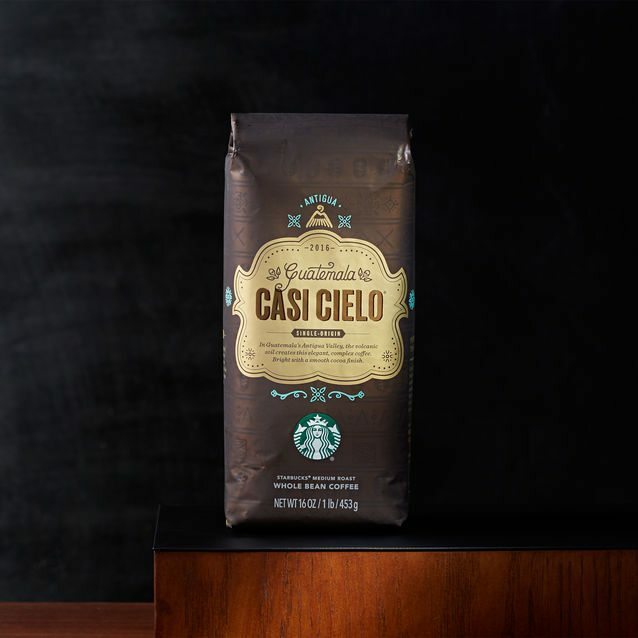 You’ll see it in Starbucks stores everywhere on January 5, 2016. Starbucks upcycling: The Green Apron Tote Bag. I got the email about Casi Cieolo being available online already and am excited. This bean and Christmas are my 2 all time favorites! Find it interesting that the Northeast favors the Holiday Spice Flat White. I’m not from the Northeast originally but live here now and I love this drink the most!!! I love that it is not as sweet as the others!!! Have a Happy New Year! I was in an area that got the Cherries Jubilee Mocha. It was not popular with my fellow Starbucks fans. Too much of a cough syrup flavor. Sad. It sounded like a yummy drink. Love the history of the Eggnog Latte and that it is popular in the PNW. I remember drinking this when it first came out and have loved it every year since. Pumpkin Spice Lattes have always been my favorite seasonal/holiday beverage. Unfortunately, I feel I am one of the few that did not care for the new “improved” version. Such is life. I know Starbucks will come up with something else to “Wow” and “Amaze” my tastebuds. I am in the Orlando area – we tested the Cherries Jubilee and I was not a fan! My local store has already run out of Holiday Spice flat white (and one barista tried to tell me they were out of plain flat white as well and I asked her to check again!). My favorite is the Chestnut Prailine. Loved the Holiday Spice Flat White and was sad when my closest store was out. It was especially good when I found a store making it with Christmas Espresso like it was intended.